Terri Hoover contacted us in May this year enquiring about setting up a fundraising campaign to send Hippo Rollers to a community in Khula, South Africa. 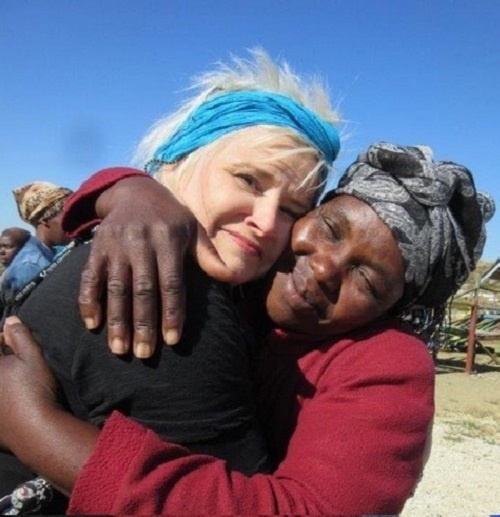 She had planned a trip to this small village community for July 2017 and wanted to be there in person to hand the rollers over to their new owners. 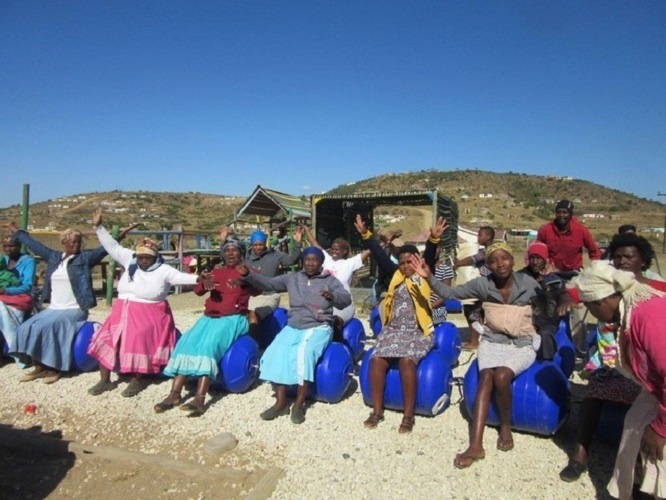 Terri immediately set out and created her own fundraising page on Give Water – Hippo Roller’s peer-to-peer crowdfunding platform where she shared a bit about her trip and her goal. Terri is the owner of Artistik Edge Hair Studio in Dallas, Texas and it was here that most of her fundraising took place. Most fundraising campaigns raise money through online donations however Terri got her clients involved as well as her Church and together they made the campaign a success. 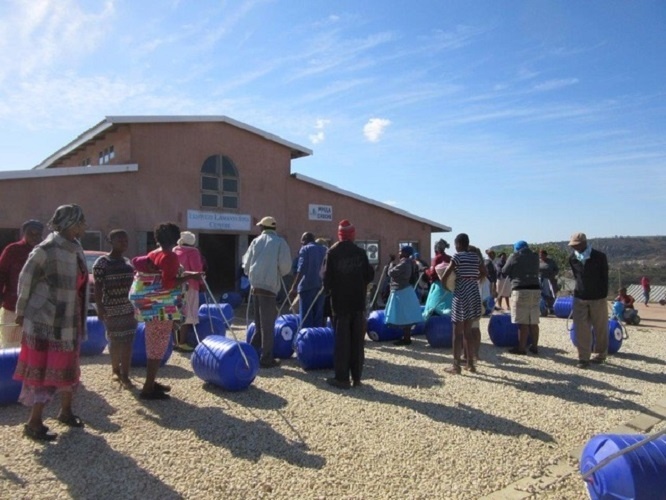 In a short time Terri’s fundraising campaign received enough money to send 33 Hippo Rollers to the village in Khula. She said that she could not have achieved this without the support of her clients and friends. A Hippo Roller Team drove the Hippo Rollers down to the village in July and were lucky enough to meet up with Terri and some of the people that she was networking with in the area to assist with the distribution. 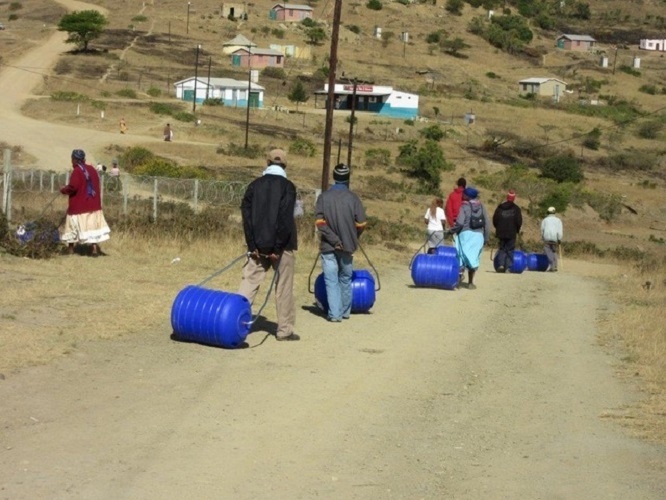 The Team was able to demonstrate the Hippo Rollers to the community and share in the joy of being able to help those who struggle with water access.